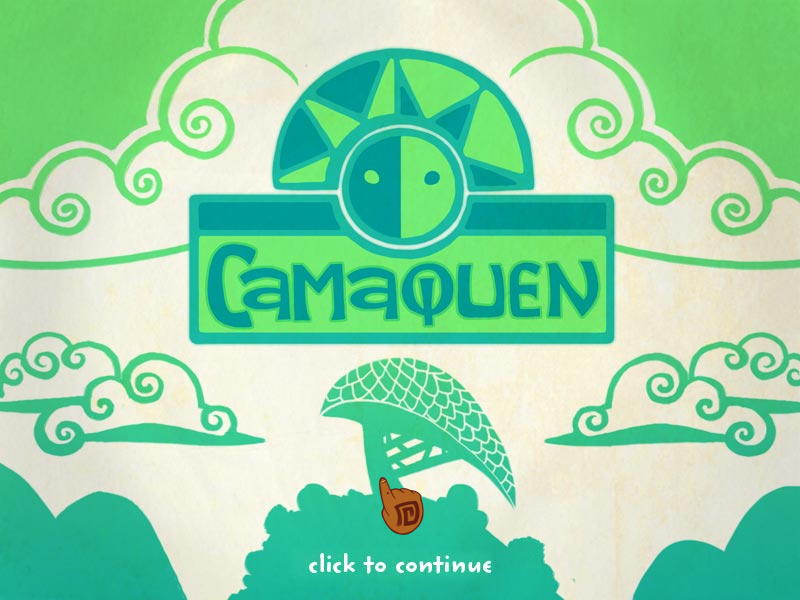 Camaquen is a casual puzzler in which players guide two characters through a heated argument. 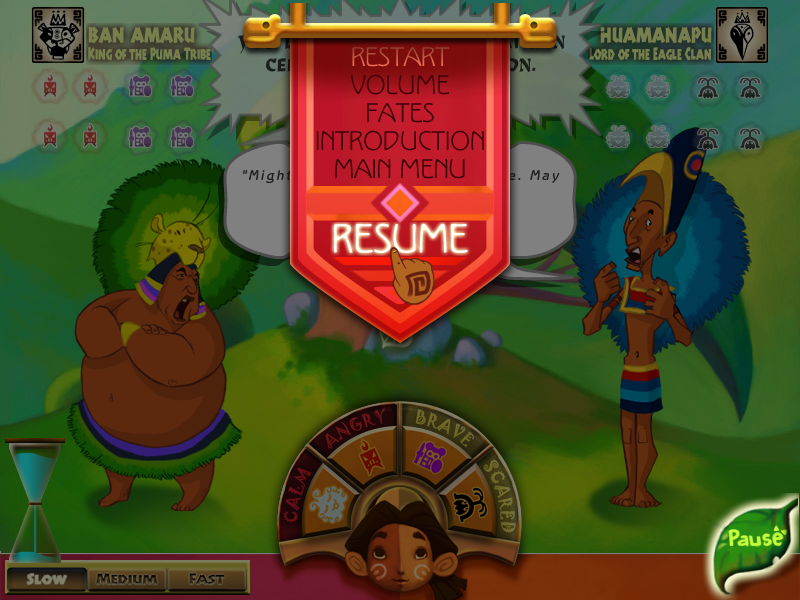 As part of a research project examining user interfaces for conversation in games, Camaquen models the effect of emotions in dialogue, enabling players to affect the emotional dynamics of the conversation and thus affect the outcome of the characters’ debate – even though the script remains the same. 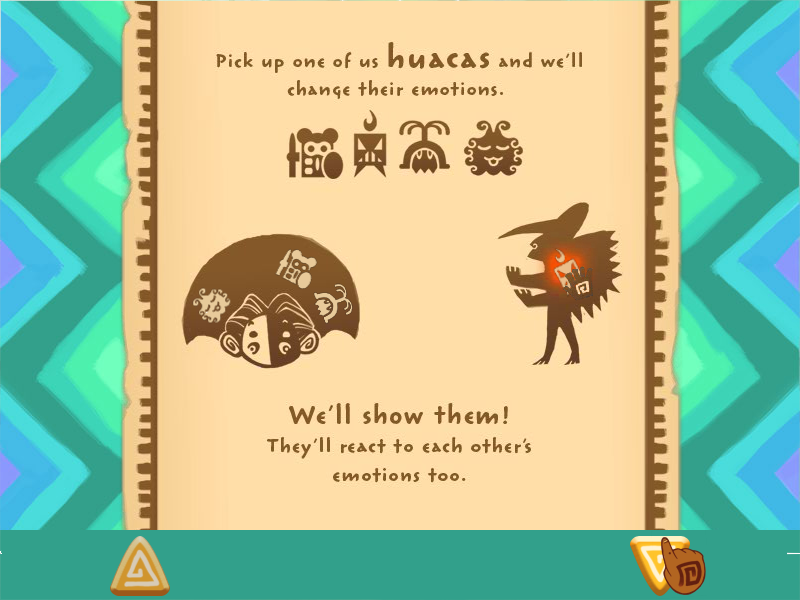 The actions of the player interact with the personalities of the brothers to determine one of five different Fates. 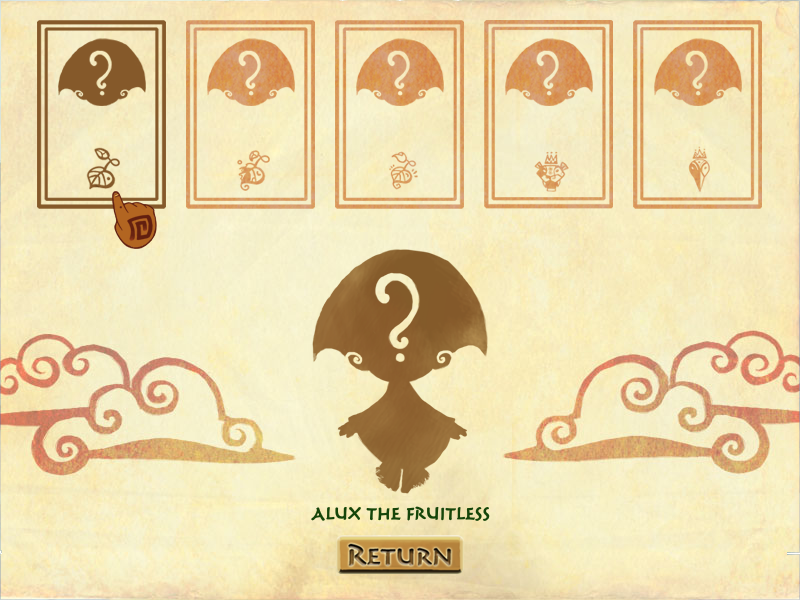 Players take on the role of Alux (Ah-loosh), the guardian spirit of the Sacred Grove. 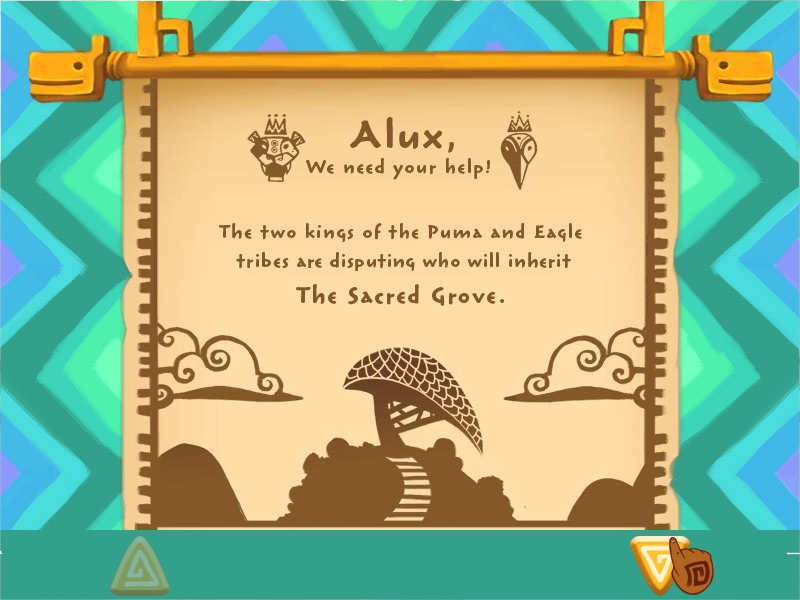 When the Great King dies and his kingdom is split between his sons Ban Amaru (Bahn A-mah-roo) and Huamanapu (Wah-nam-a-pu), the brothers begin to bicker over what to do with the Grove. 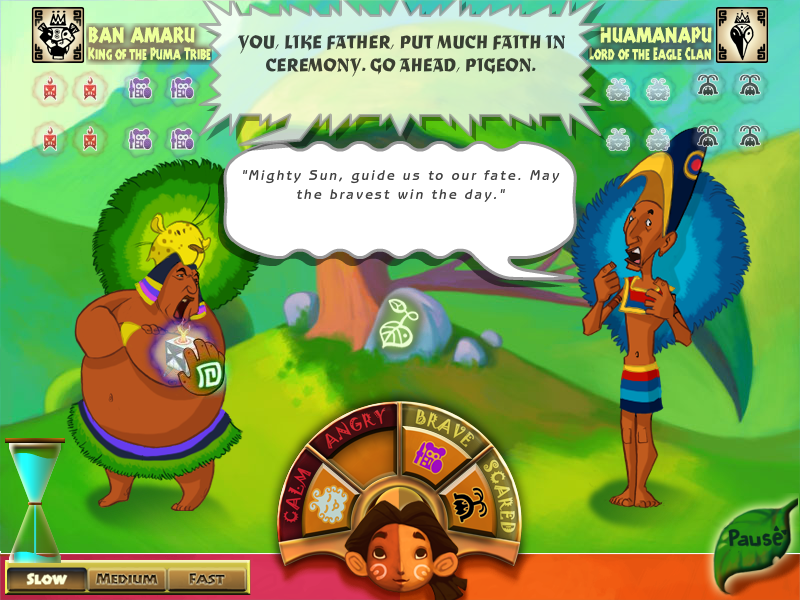 Using Alux’s ability to command spirits of emotional energy (or "camaquen"), players change the meaning behind their words and sway the two kings to their destiny. 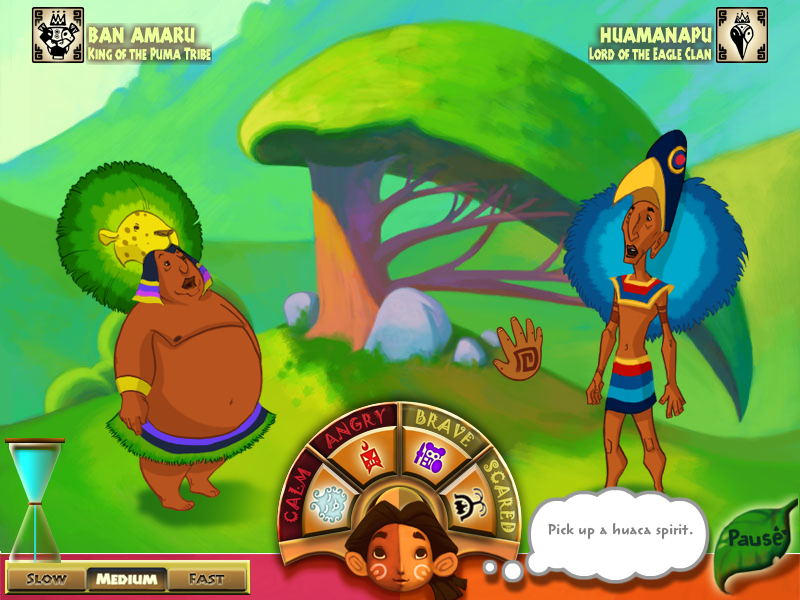 Does Huamanapu build his enormous stargazing tower, or does Ban Amaru move forward with his plans for a golden palace? And what happens to Alux when her Grove is transformed? 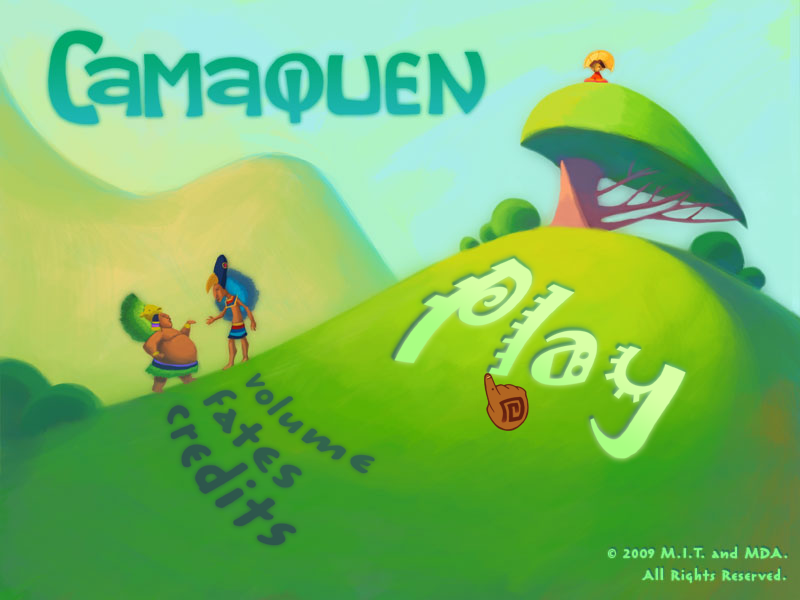 Camaquen is the first of a series of games exploring conversation in games. As you play, consider how it compares to other methods of game conversation you've seen. What aspects of conversation does it emphasize? What works and what doesn't? What audience do you think this would appeal to? If you were to make a similar game, what would you do differently? 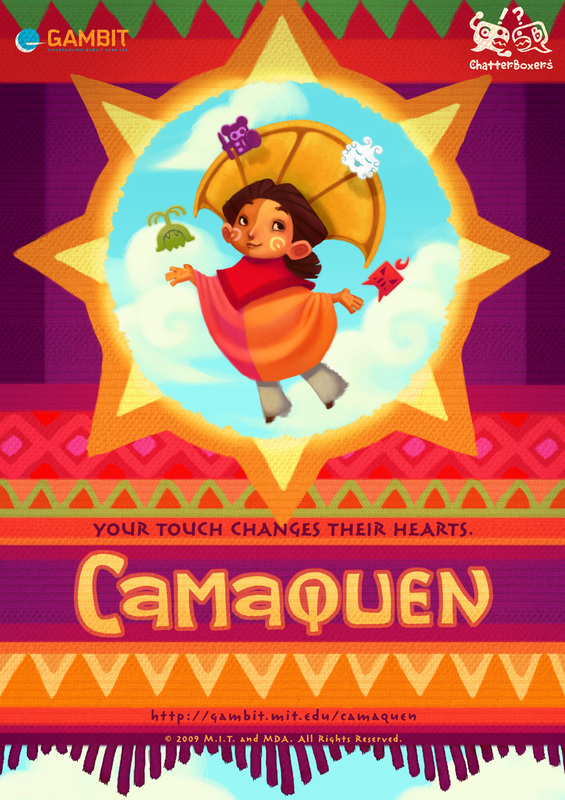 My hope is that Camaquen is not simply about conversation, but it will also stimulate conversation. Reflect. Discuss. Enjoy. 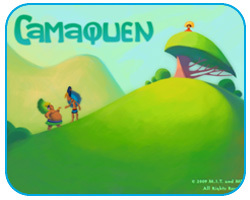 Announcing our Summer 2009 games!